A court has heard how an 80-year-old woman was robbed in her country home and was told she might be shot. Sheila Turnbull was alone at Ladhope Farm Cottage in the Yarrow Valley near Selkirk when she was terrorised by gun-totting Taylor Wright. The High Court in Edinburgh heard Wright had once been a neighbour oh his victim. Jobless Wright, of no fixed abode, admitted assault and robbery at the isolated cottage on March 18 this year while possessing an imitation firearm and after being freed on bail in November last year. He also admitted stealing cash and taking Mrs Wright’s bank card which he used to steal money from her account at an ATM machine in Selkirk after forcing her to reveal the PIN number. 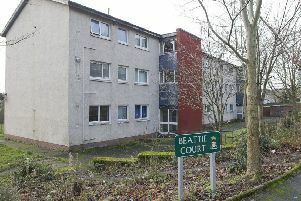 Wright put the victim’s mobile phone in a sink full of water, disconnected her landline and removed her care alarm from a wall. He then fled in the pensioner’s car after forcing her to show how to start the engine of the automatic Ford Fusion. After demanding the PIN number he told her: “You’d better be telling me the truth or I’ll shoot you and made her repeat the number. Mrs Turnbull managed to dry her mobile and alert her family. Police found the car abandoned in Selkirk with the imitation handgun in the back and Wright was captured at a house in Galashiels. In victim statement submitted to the judge, Mrs Turnbull wrote: “I am so frightened, I fell I cannot live here for another winter when the nights are long and dark. Lord Brailsford remanded Wright in custody while pre-sentencing reports are prepared.